It's here: A "holiday" based on a pun. 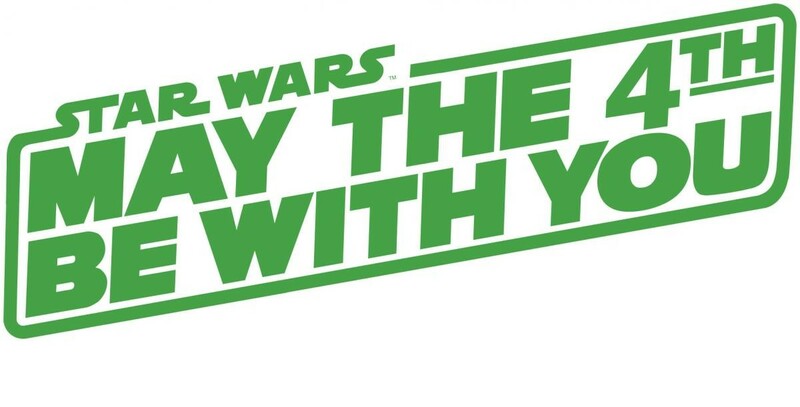 And those of us who know better understand that if there's going to be a Star Wars Day, it really should be on May 25 (the anniversary of the original film's 1977 release). Nevertheless, folks continue to rally around "May the Fourth Be With You" as a particular day to get giddy about all things Star Wars—we even saw the release of some new Annie Leibovitz-shot character photos from December's release of Episode VII: The Force Awakens—so who are we to be curmudgeonly? If, therefore, you're looking to get your midicholorians flowing, head to the Gateway Mall tonight from 6 - 9 p.m., where Urban Arts Gallery kicks off a month-long show dedicated to Star Wars-inspired art with a special reception co-sponsored by Salt Lake Comic Con. Grant Fuhst, Stephanie Swift, Cat Palmer and Shaun Noble will be among the artists represented in the art exhibit; additional events include a special appearance by Darth Vader and local cosplay groups, fan costume contest with prizes, and a screening of the original 1977 film. If you're itching to see that original film in a livelier setting—possibly with an adult beverage—visit Brewvies tonight for the Monday night Film Buff screening at 10 p.m. The screening of Episode IV: A New Hope launches a full month of Monday night Star Wars-themed fun, with The Empire Strikes Back (May 11), Return of the Jedi (May 18) and a double-feature of the road comedy Fanboys and the Mel Brooks parody Spaceballs (May 25).